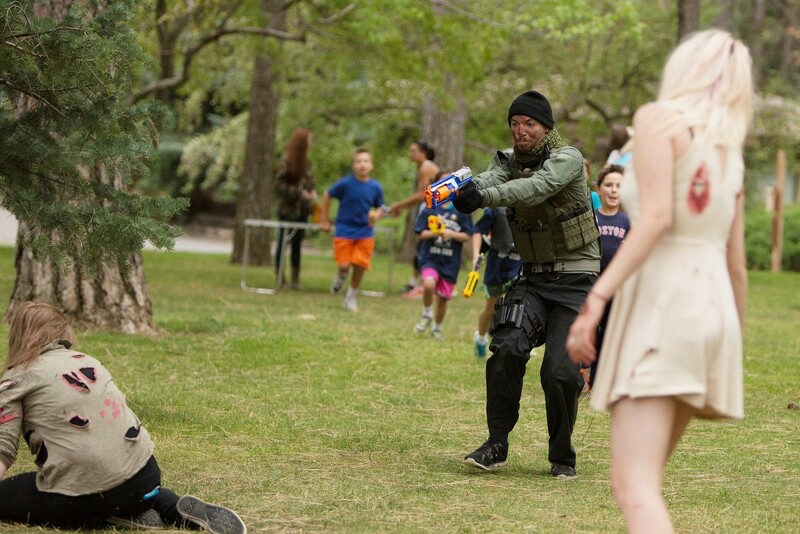 Comstock Park hosted the Zombie Run, a three-part race course that pitted Nerf-gun-wielding race participants against zombies. Apocalypse Corps organized the event to assist the Source, a local faith based organization that provides vocational training to 150-200 young people, many who are juvenile offenders. Half of the Zombie Run proceeds will go to the Source. 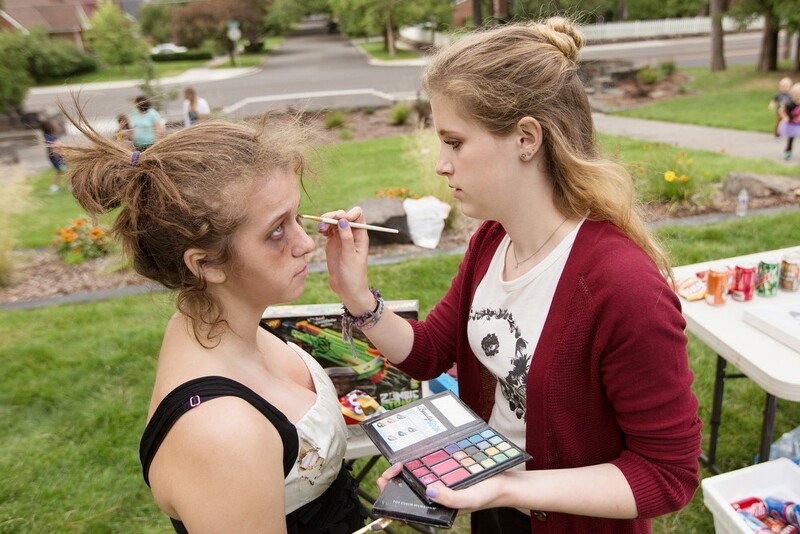 Volunteer Heidi Lockhoff, right, puts makeup on volunteer Sam Gill before the Zombie Run. 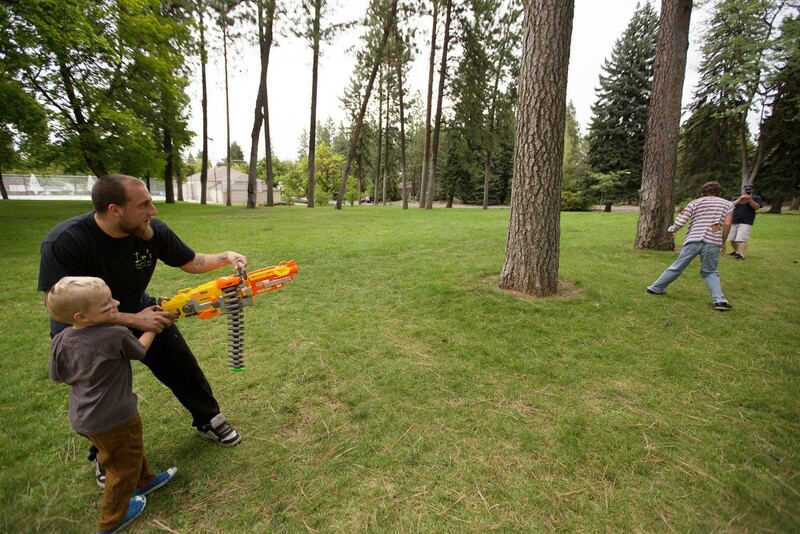 Founder Adin Haines, left, shoots zombie Dillon Kummer while giving a welcome speech to participants. 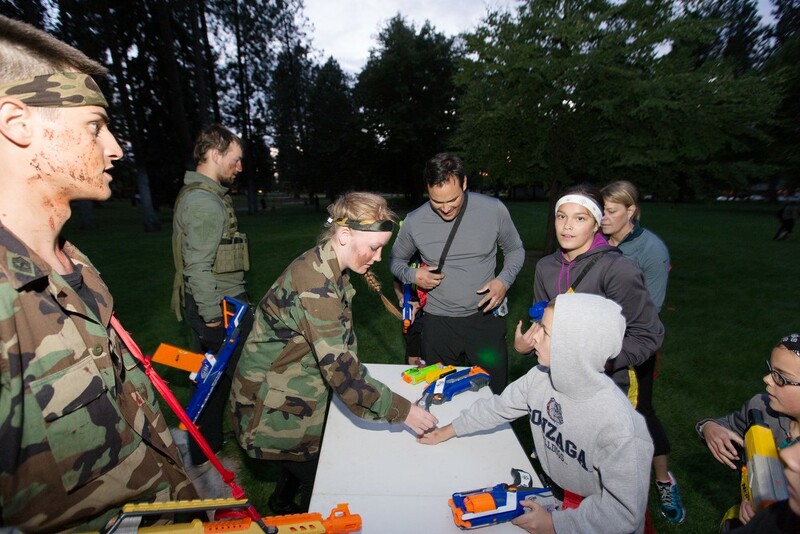 Founder Adin Haines, second from the left, shoots at zombies while leading race participants. 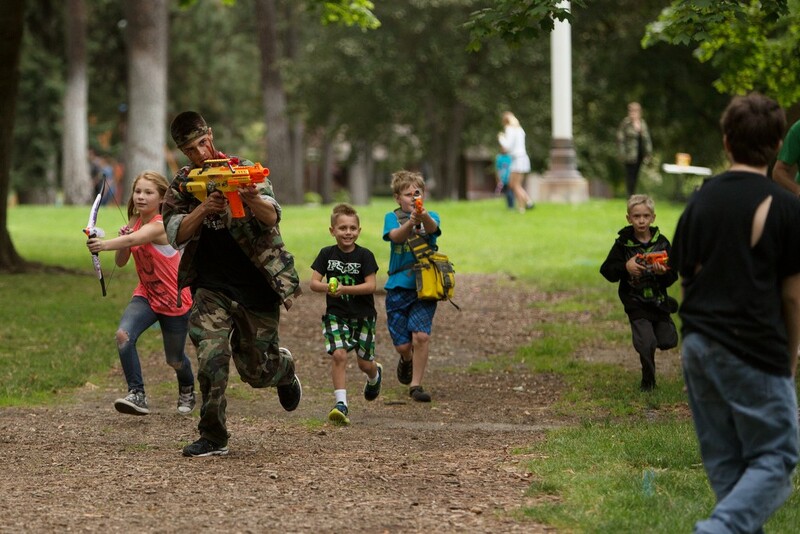 Volunteer Bryce Gray, second from the right, shoots a zombie while leading a group of participants. 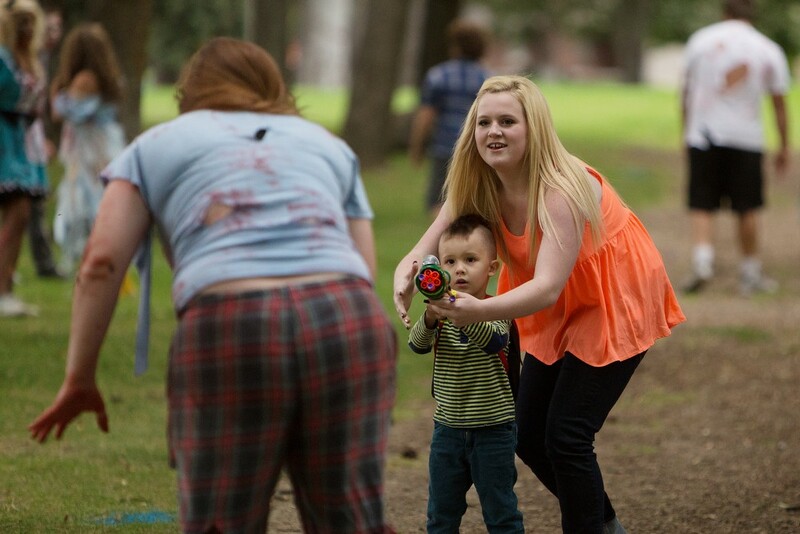 Race participant 3 year old Cedyrck Stowe, center, shoots zombie Catherine Payne, left, with the help of Julian Stowe. 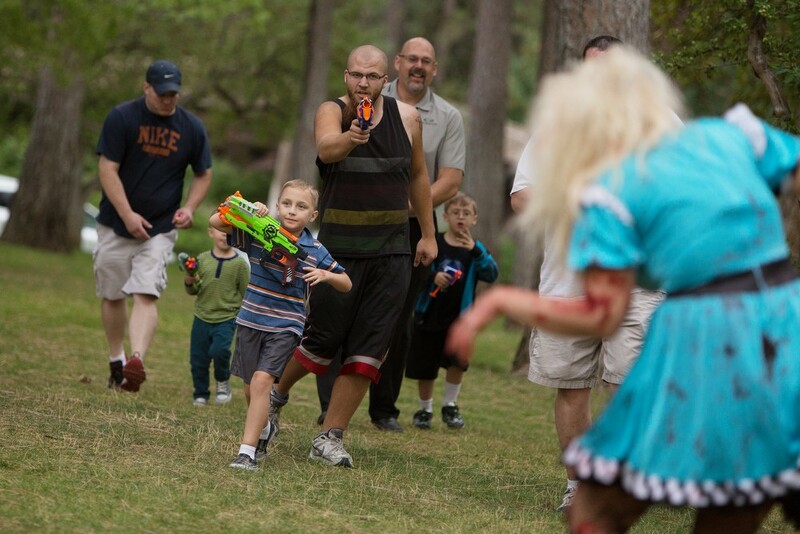 Race participant Justin Krauss, left, helps his 6-year-old son Dakota shoot a zombie. 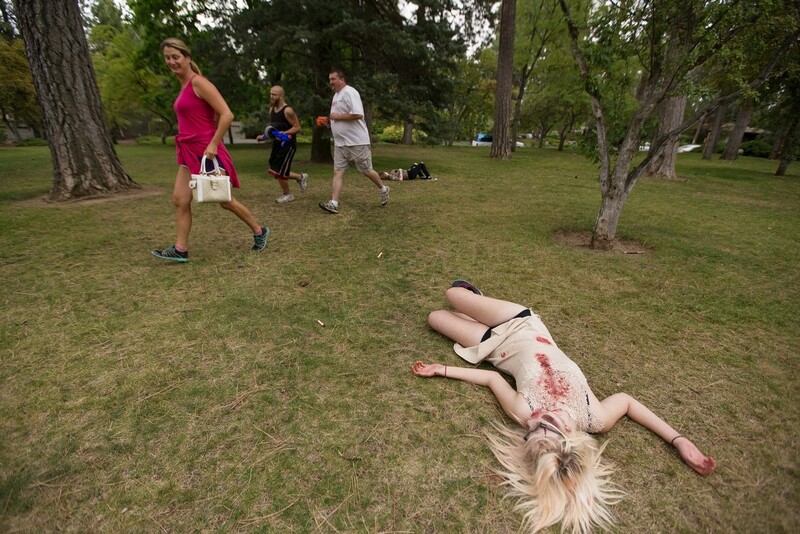 Zombie Malarie Schultz lays on the ground after being shot. 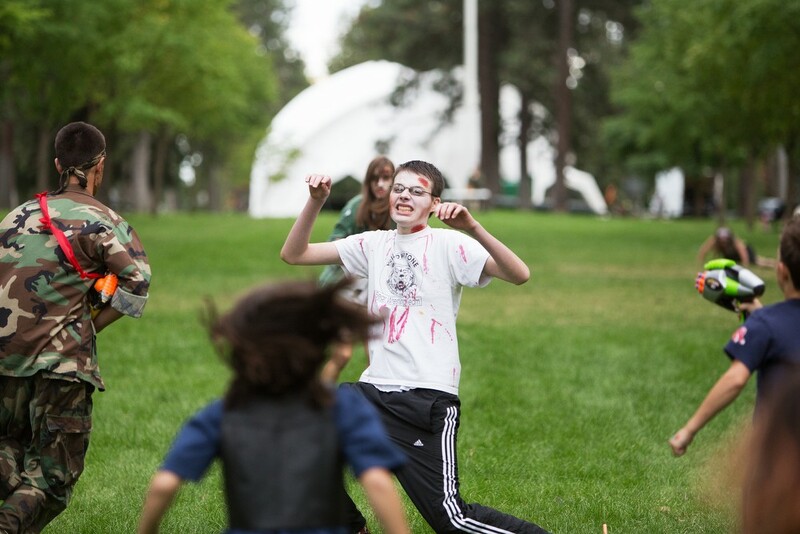 Zombie Ty Eklund, center, falls after being shot. Zombie Tym Bangs, left, is shot by founder Adin Haines. 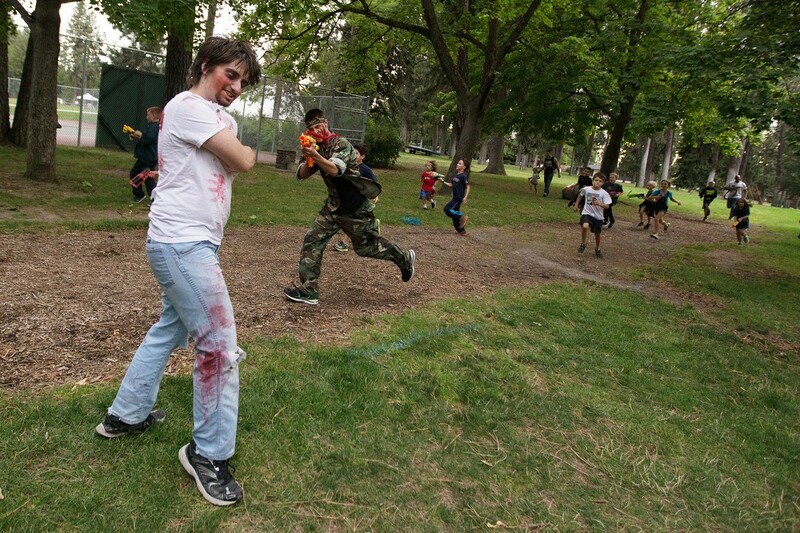 Race participant Pat Zantello, center, walks with 7-year-old Ahren Hurley, left, while shooting zombie Cara Lyonnais. 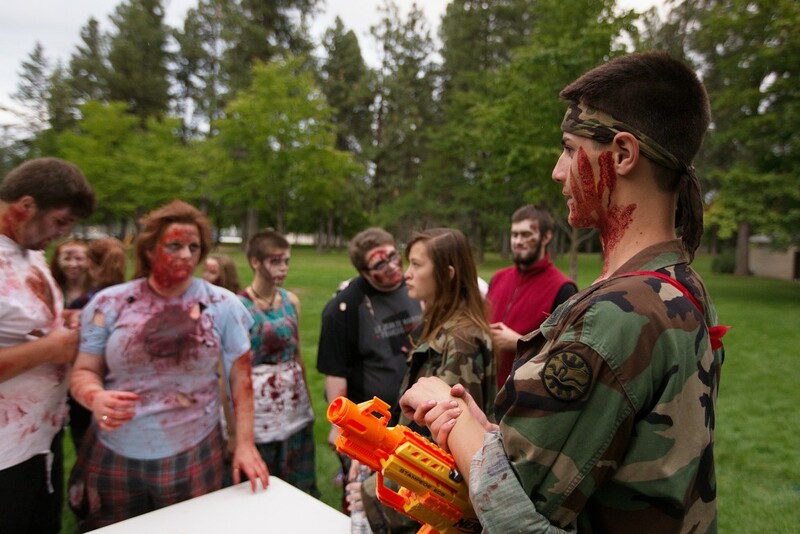 Founder Adin Haines, right, speaks with zombies and other volunteers. 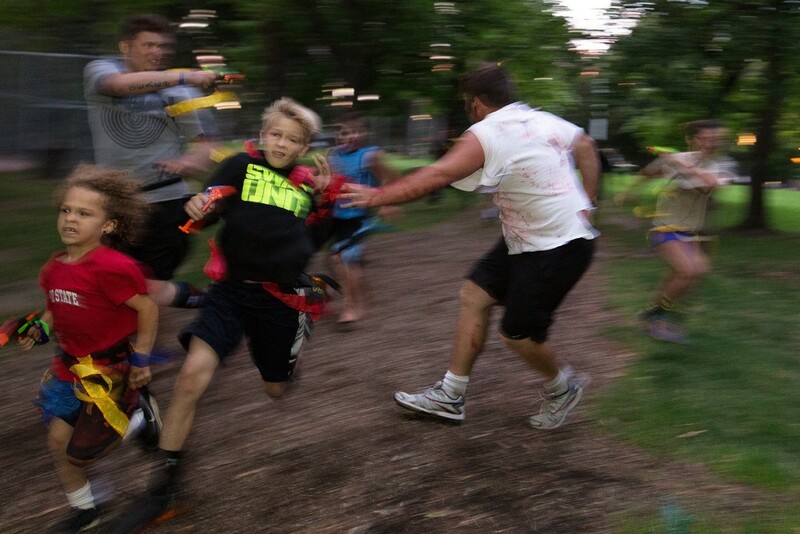 12-year-old race participant Avery Sundheim, center, avoids zombie Caleb Heath. 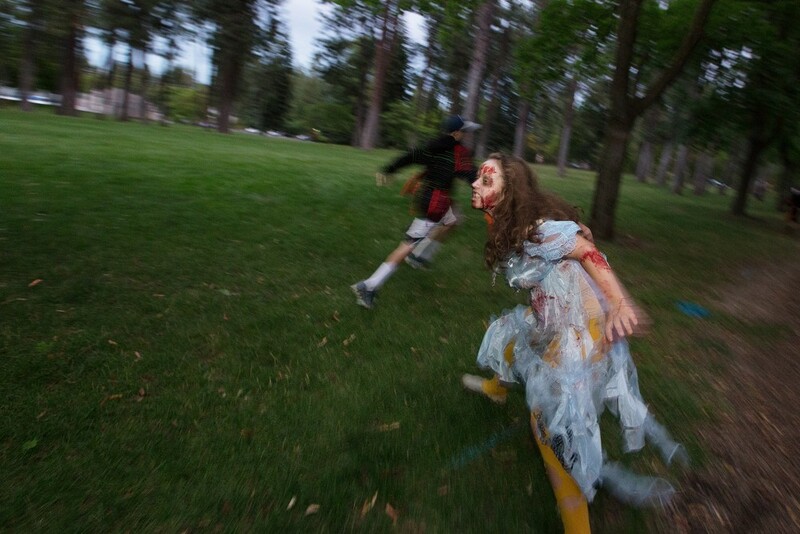 Zombie Sydney Travis chases race participants. 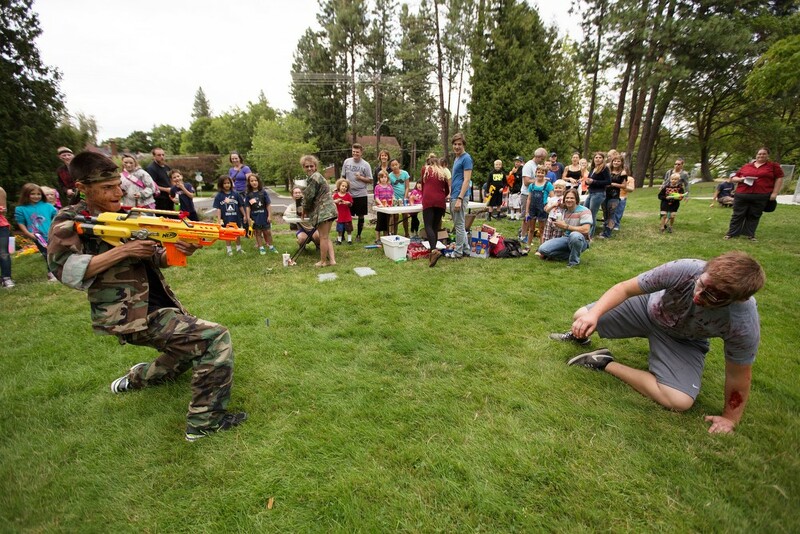 Volunteer Halie Olney, center, hands 9-year-old Owen Ames nerf gun ammunition. 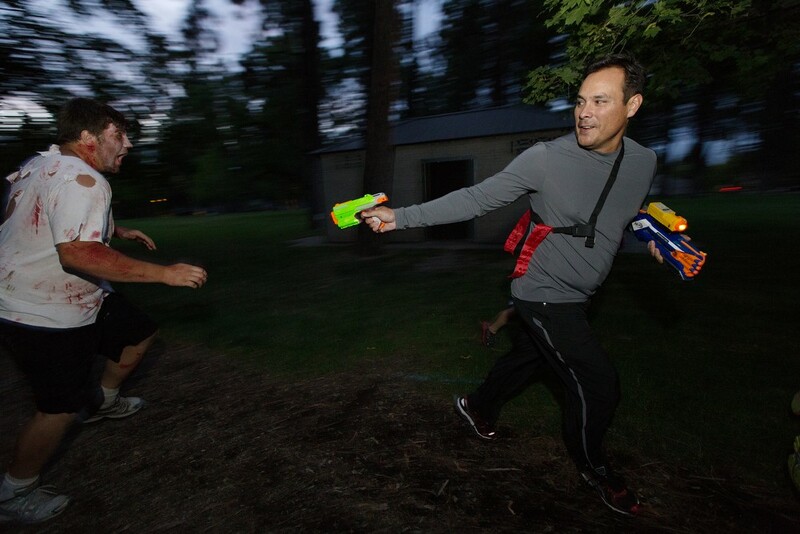 Race participant Jim Carbajal, right, shoots zombie Caleb Heath.